We're loving this short sleeve floral top! Perfect for any occasion! 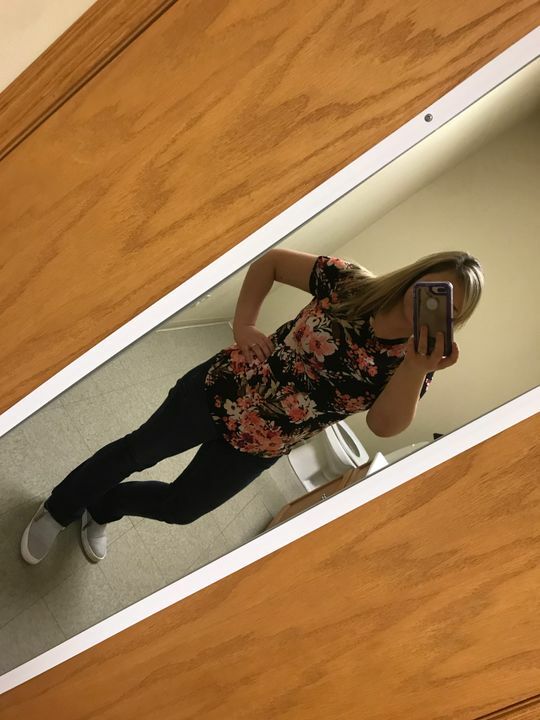 Jillian L. Reviewed by Jillian L.
I love the colors in this shirt! It’s so cute for spring. Lena H. Reviewed by Lena H.
Such a cute, light weight, stretchy shirt! Bridget N. Reviewed by Bridget N.
Melissa O. Reviewed by Melissa O. Love the floral print on this one! I kind of feel like, I could of went up a size, just because it is a little snug around the midsection, but for the most part it fits well. Perfect by itself, or under a sweater! Nicky F. Reviewed by Nicky F.
I love this shirt! Very soft and have received several compliments.